Alberto J. E. Añeses-Negrón - Casillas Santiago Torres Law LLC. Mr. Añeses-Negrón joined Casillas, Santiago & Torres, LLC as part of the Corporate and Tax Divisions in 2016. His main areas of practice include International Taxation, Puerto Rico tax incentive laws, sales and use tax, municipal license tax, property taxes, as well as Puerto Rico and Federal income tax matters, Intellectual Property and Bankruptcy. The diversity in his areas of practice allows him to better serve clients by providing a well-rounded approach to their situations. 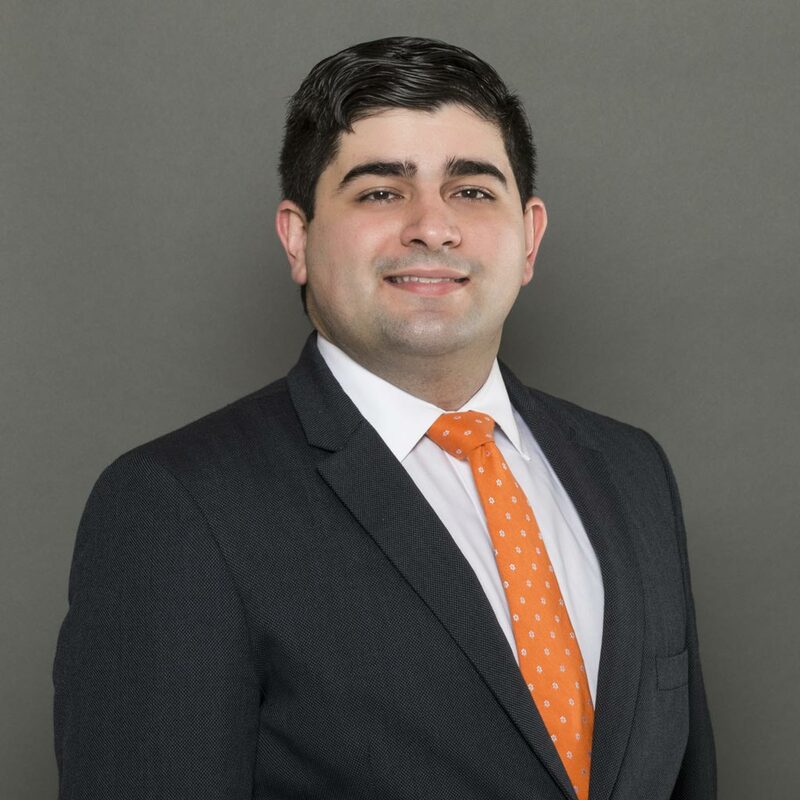 Prior to joining CST, Mr. Añeses-Negrón worked as an Associate in the Litigation Department of one of Puerto Rico’s largest full service law firms, where he was also a Summer Associate in 2013. There he was exposed to matters pertaining to Antitrust, Intellectual Property, Bankruptcy, Tax Litigation and Trusts. Prior to this, while in law school, he was a law-clerk at several small law firms, where he worked in similar subjects. During his LLM studies, he worked as an Extern at the Office of the Chief Counsel of the Internal Revenue Service, Miami Office. While in law school, he served as a student attorney in the general civil litigation section of the University of Puerto Rico School of Law Legal Assistance Clinic. As part of his work in the Clinic, he handled cases involving Contracts, Real Property and Estate disputes. Also, during the 2013-2014 academic year, Mr. Añeses-Negrón worked as a teacher assistant to Professor Carlos Díaz-Olivo. As such, he helped Díaz-Olivo in the revision of his treatise regarding Puerto Rico’s Corporate Law, which was published in 2016. More so, he assisted with the professor’s courses in Corporate, Civil Procedure, and Tax Law. Prior to this, Mr. Añeses Negrón served as teacher assistant to Professor Emeritus Dr. David M. Helfeld. In this capacity, he helped Dr. Helfed finish his last three publications and conducted extensive research regarding the constitutional relations between Puerto Rico and the United States. Further, he assisted with Dr. Helfeld’s Alternative Dispute Resolution and Constitutional Law courses. During his second and third law-school years, Mr. Añeses-Negrón was the head tutor of contracts law for first-year students . Furthermore, he was an Assistant Editor in the Volume LXXXII of the University of Puerto Rico Law Review. He is the author of Tax Losses: The Solution to Puerto Rico’s Bond Crisis? 86 UPR L J 51 (2016), an article that proposes that Puerto Rico Bond holders abandon their bond rights and claim a loss in their tax returns as an alternative to Puerto Rico’s Bond Crisis. Also, Mr. Añeses-Negrón is the co-author of Derecho Tributario, 83 UPR L J 911 (2014), which is an article analyzing the Puerto Rico Supreme Court’s Tax Case Law for the 2013-2014 term. Director- Fundación OE-Innovative Technology for Education, Inc.